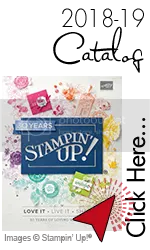 This is, right now, my favorite stamp set from the New Stampin’ Up!® Catalog. Seasoned with Kindness is a Hostess set and being a Demonstrator, I was able to get it early. I knew that I could make something right away with it. Many customers overlook these sets but they shouldn’t, especially this year. The Hostess sets are super fun and will appeal to a wide group. I just might have to show them off more. 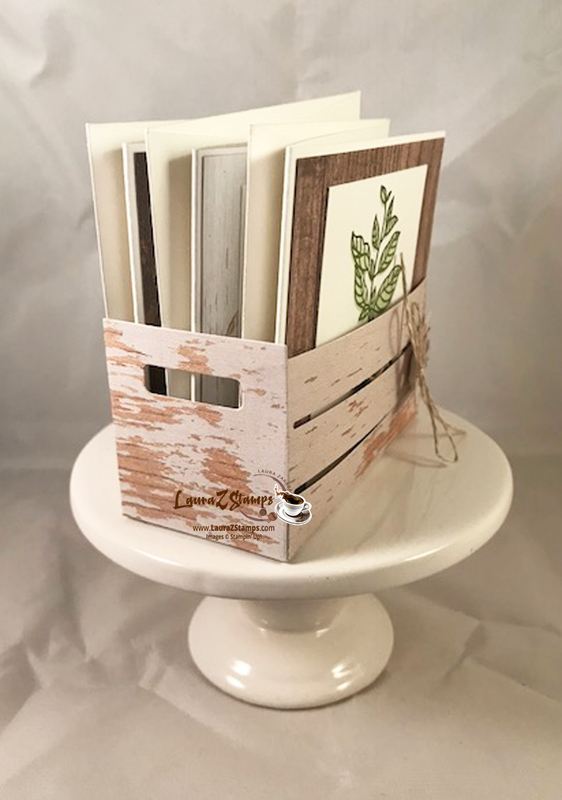 One of my go-to projects is a gift pack of 3″ x 3″ cards with envelopes. It’s easy to create but also makes for a quick and unique gift. Check it out. Sometimes I like to add a bit of the plant on the inside. 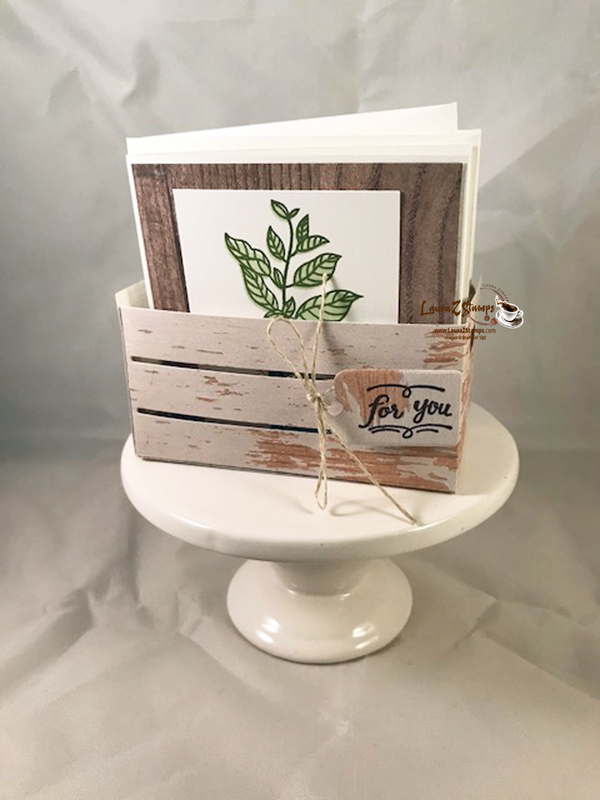 I went with the light wood look on one of the cards and then on the crate. It’s a fabulous Framelit and so happy that it carried over. See how our sets, dies and papers coordinate perfectly. It’s what we are known for. Don’t forget to visit the Clearance Rack as there have been new things added in the last few weeks. Of course, right now there is a lot of items being retired. If you visit my blog, you will see the last few posts mention Color Redo and Retiring lists and Pre-order. Don’t forget to get papers and refills for your inks. When it’s gone. it’s gone. 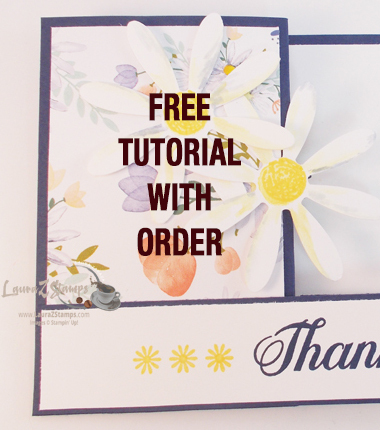 When you place an order with me, you get a Free tutorial sent to your email from me. Each one is unique. 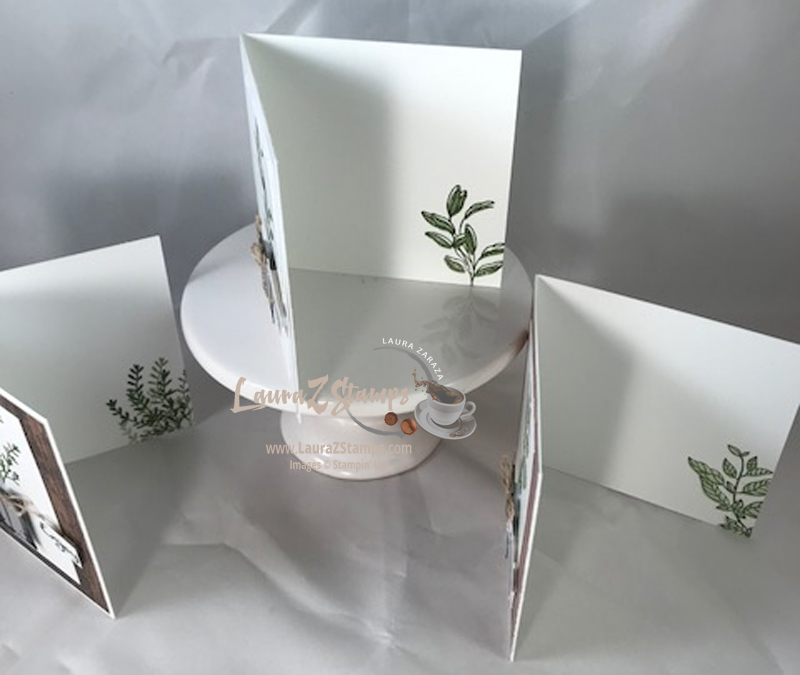 If you place more than one order in a month, you will get a handmade card sent to you with a gift. I really appreciate your business. 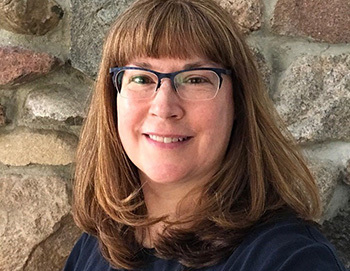 UPDATE: My New Catalog Open House is Saturday- June 9th from 1:00PM-4:30PM at the Walworth Memorial Library- Walworth, WI. If you live within 1-2 hrs of Lake Geneva, WI, I will say it will be worth taking a drive. Sign up for my Newsletter and get the official info sent to your email this weekend. Lots of retired items ( Stamp sets, Card Stock, Ribbon, embellishments, etc), Refreshments, Door Prizes as well as Make and Take Projects. 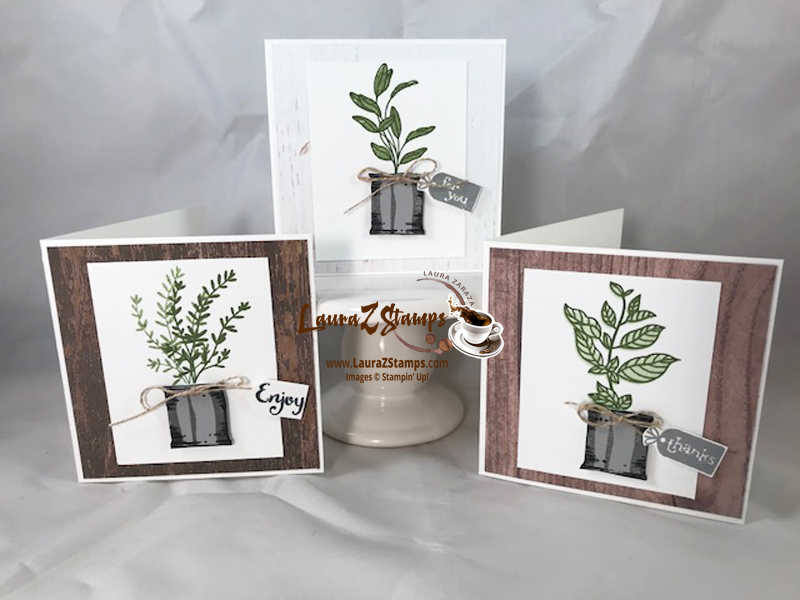 Of course, anyone that comes will get the Brand New 30th Anniversary Stampin’ up! Catalog and Idea book. FREE! So bring your friends and I hope to see you there.